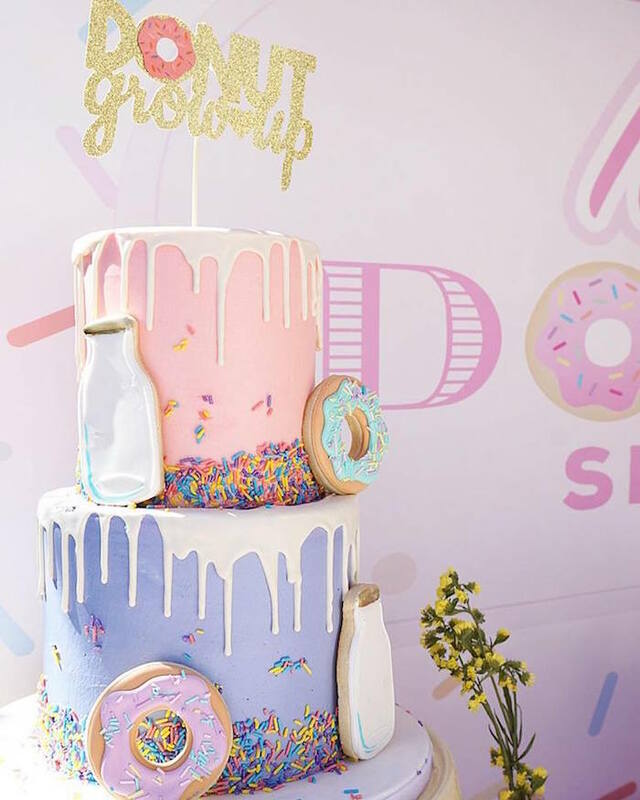 Spuds and sprinkles are in tow, in this Donut Shoppe Birthday Party, which definitely puts on a swoon-worthy show! 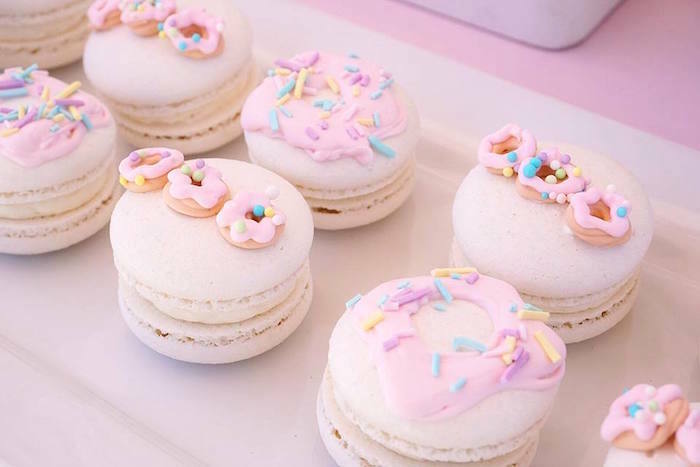 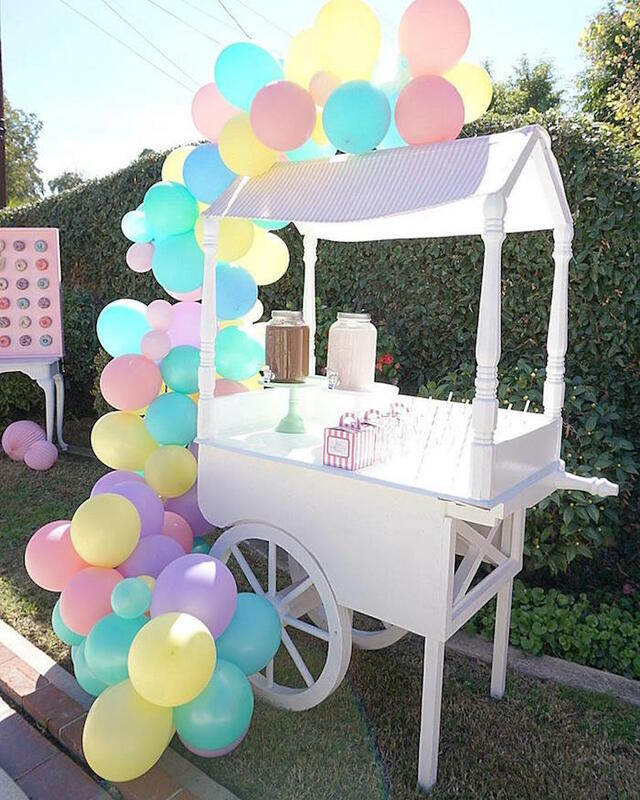 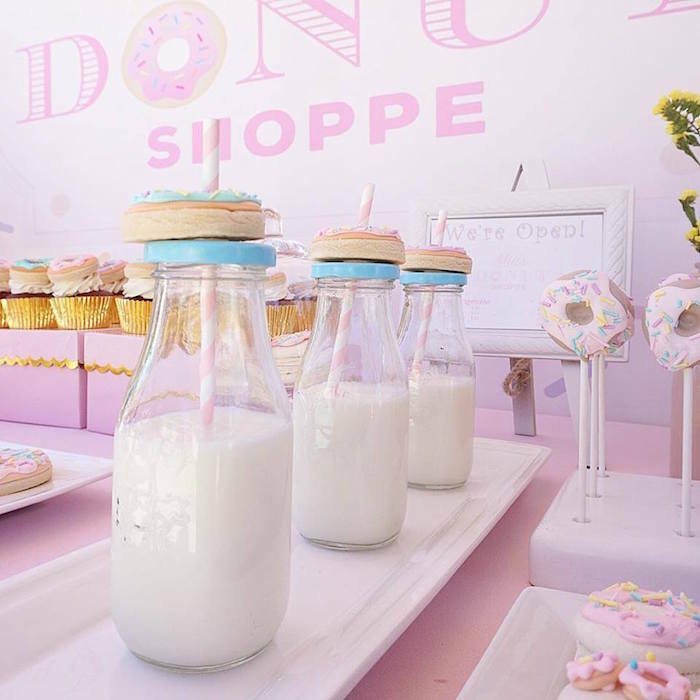 Styled by Christina Maya of M & J Kreations, out of Whittier, CA; this adorable event is full of lip-licking party details! 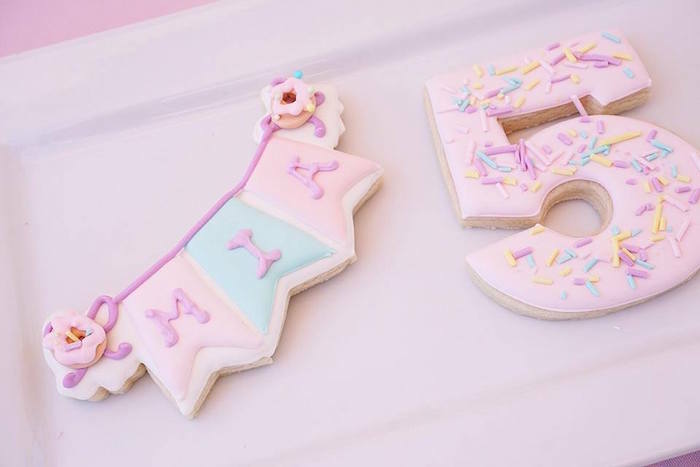 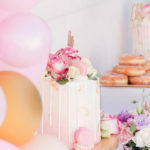 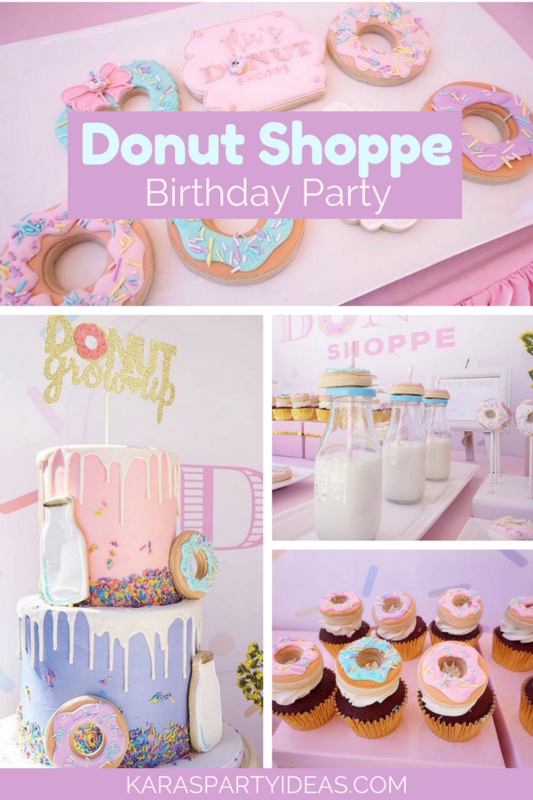 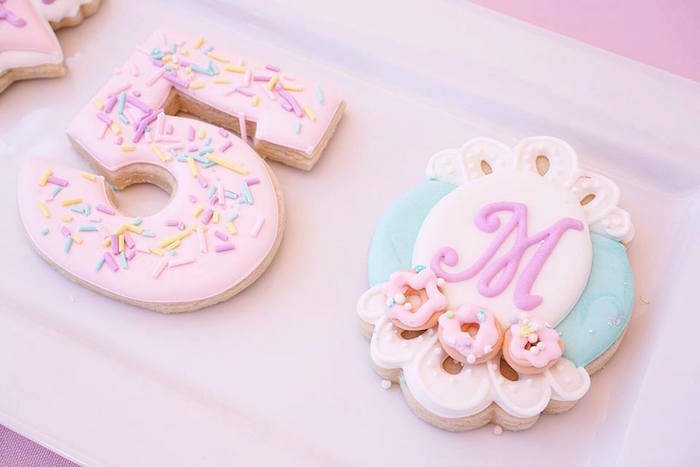 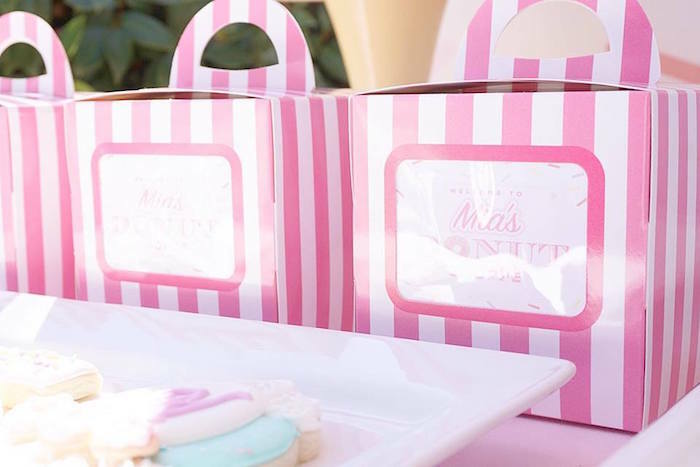 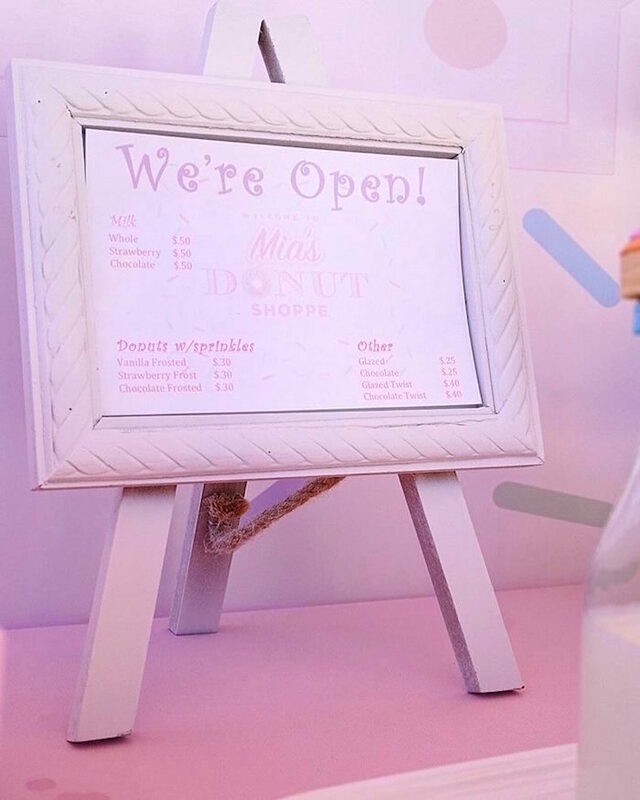 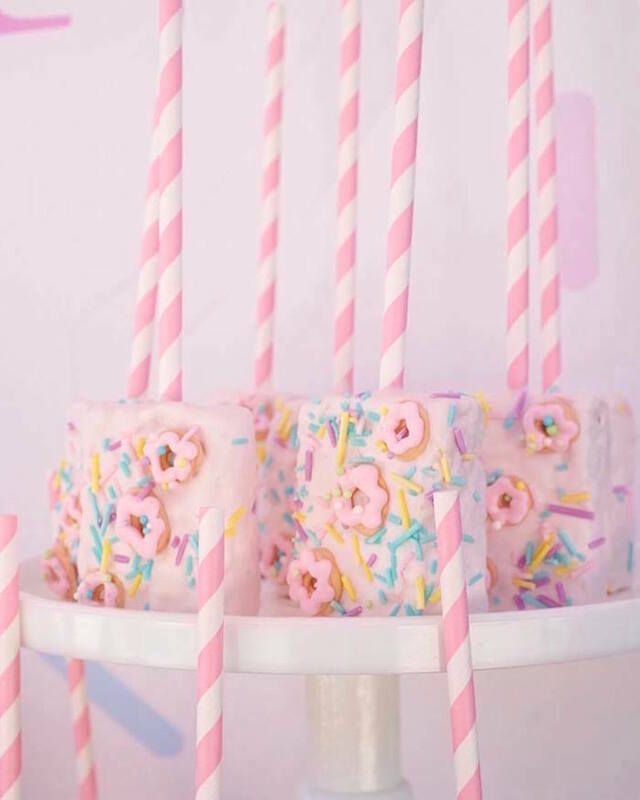 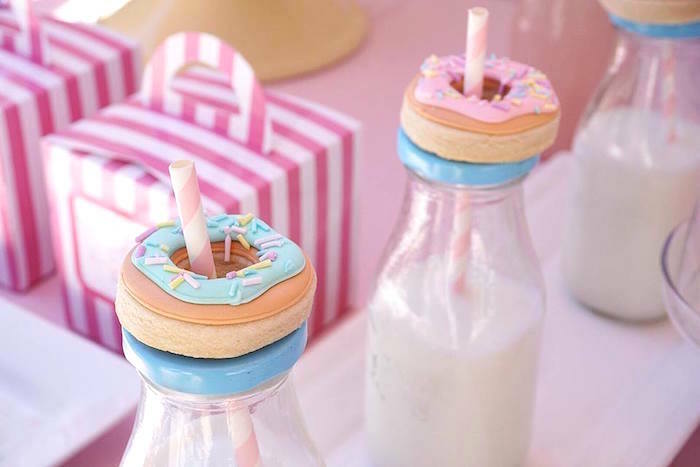 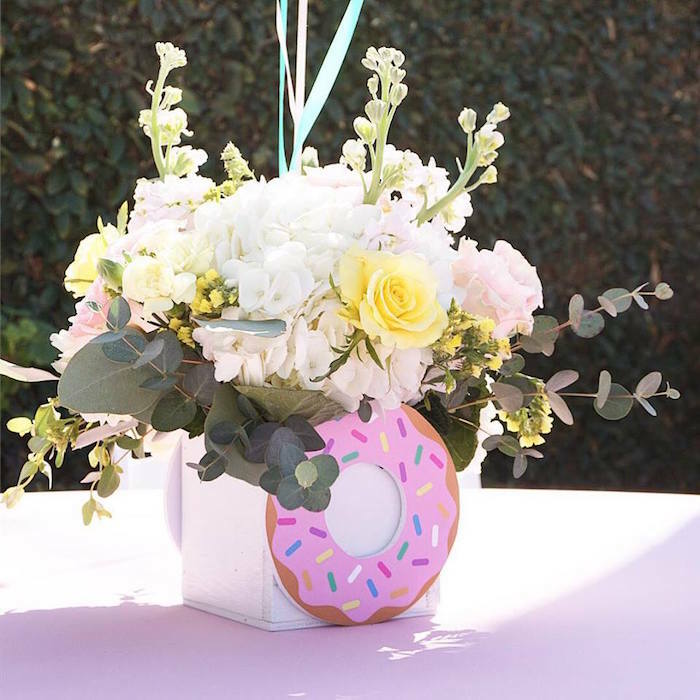 “This beautiful Donut Shoppe party was simply inspired by the birthday girl herslef and her love for donuts. 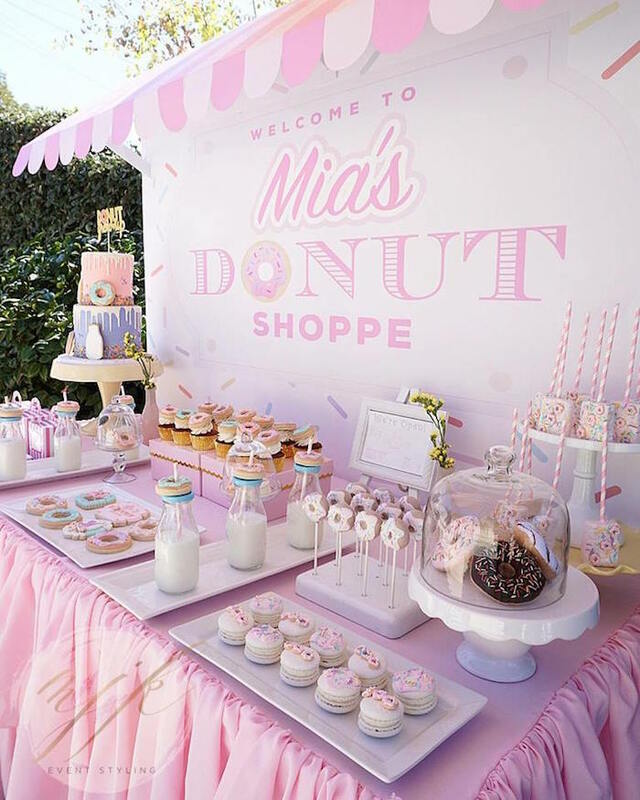 For this event, I incorporated Mia’s favorite colors and desserts into the theme. 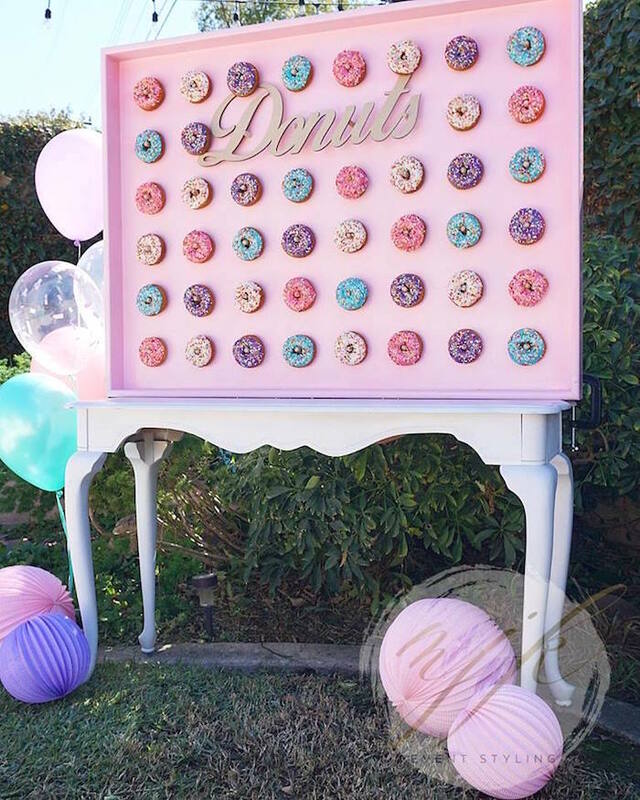 As soon as I heard “Donut” party, I knew I wanted to turn this into a donut shoppe. 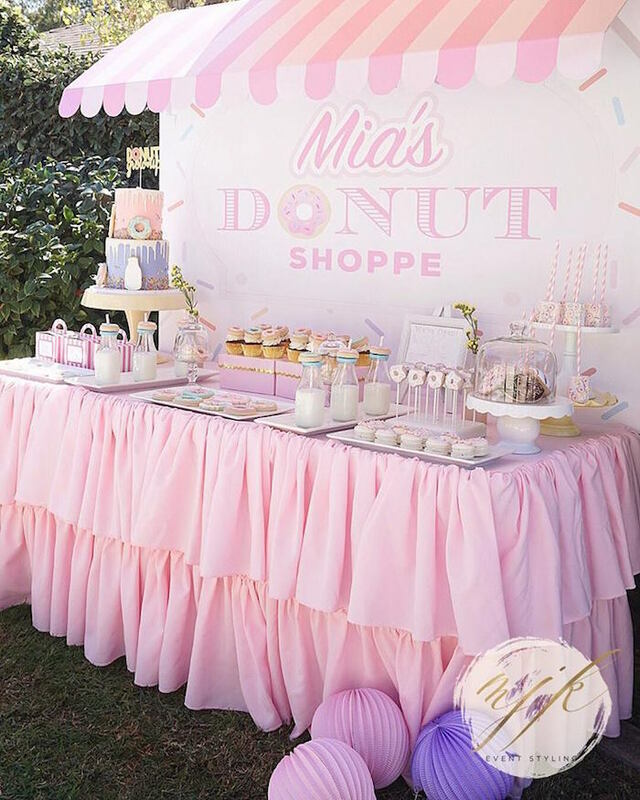 I had Mia’s birthday invitation from Little Magic Prints resized and make it into our backdrop coming beautifully together with the striped awning. 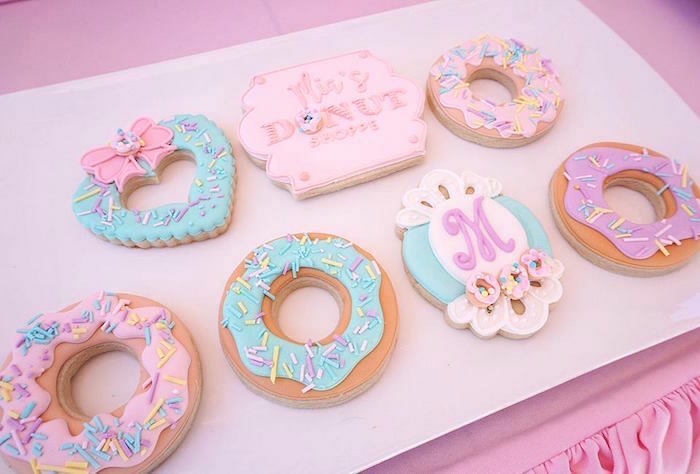 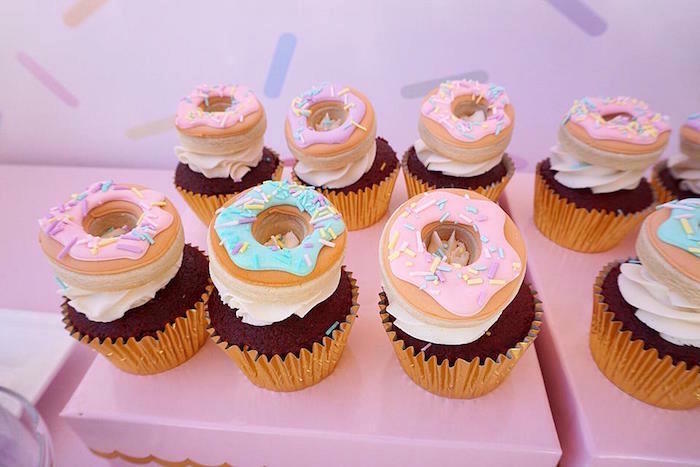 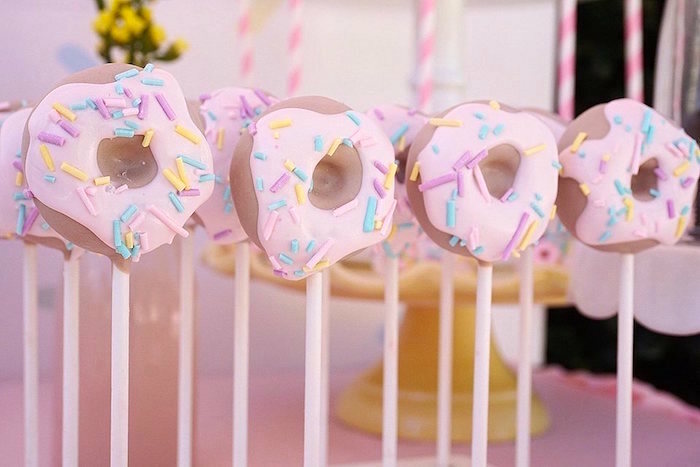 Don’t miss these awesome donut party ideas here!